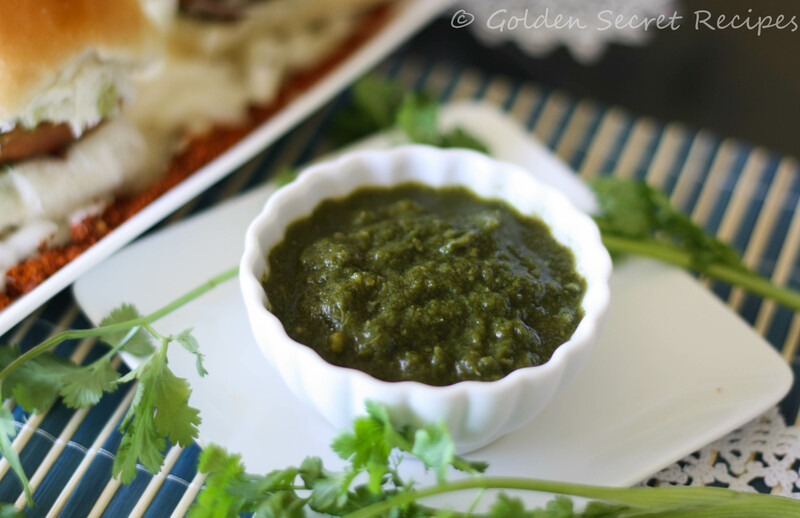 This spicy coriander chutney can be used with any chats. You can also serve this chutney as a side dip for vada, bonda, tikki or pakodas. 1. Blend all the above mentioned ingredients in a blender/mixie using little water. 2. Transfer to a bowl and serve as dip/spread. Note: I didn’t use the mint leaves in my chutney. I personally like it without mint.